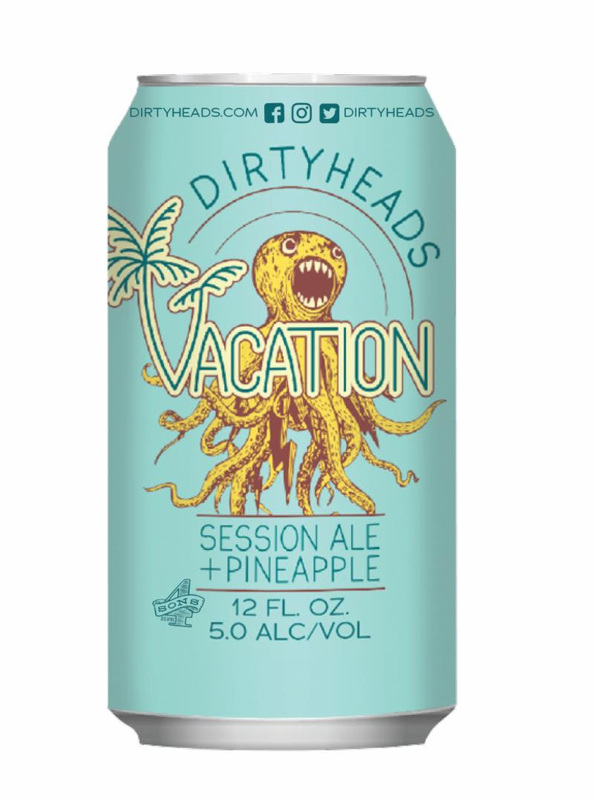 Dirty Heads will be bringing some “Vacation” ale to cities across the country on their Fall tour and plan to host local tap takeovers and tastings with fans in select markets. For more information and the latest confirmed locations, please visitwww.dirtyheads.com/tour. The band is also announcing a partnership with Wahoo’s Fish Taco and cans of “Vacation” ale will be available for fans to purchase and enjoy at 4 Southern California locations, with more to be announced. The original Wahoo’s Fish Taco location in Costa Mesa, Downtown Huntington Beach, Huntington Beach #2 and Seal Beach will begin carrying “Vacation” this week. Dirty Heads recently celebrated their collaboration with hometown Huntington Beach, CA craft brewery Four Sons Brewing with the release of a crisp, refreshingpineapple Session Ale dubbed “Vacation.” From start to finish, members of Dirty Heads were hands on in the creation of the craft brew, starting with early taste testing to designing the logo and imagery featured on the can. “Vacation,” with an ABV of 5.0%, is now available in select Southern California locations and will have a wider distribution in the western U.S. this Fall. The band recently released the official music video for their latest single, “Visions,” exclusively on Billboard.com. Vocalist Jared Watson discovered Chilean director and animator Esteban Bustos online and recruited him to helm the creative direction for the music video. The track is the product of a collaboration between hip-hop producer Blueprint and Dirty Heads’ Jared Watson and Dustin Bushnell. Originally intended for the bands latest album Swim Team, “Visions” caught the attention of Maroon 5 vocalist Adam Levine who requested to record and release the track on their 2017 album Red Pill Blues. A year later, Dirty Heads put their own spin on “Visions” and released it as an official single that is currently climbing the charts. Dirty Heads are also hitting the road this Fall with Jukebox The Ghost and Just Loud. The band will be continuing their partnership with organization PLUS1 on their fall tour. Through their partnership with PLUS1, Dirty Heads were able to raise and grant $100,000 to NRDC, a leading organization fighting for systemic change to protect the earth. A full list of dates and ticket information can be found atwww.dirtyheads.com/tour. More dates will be announced. 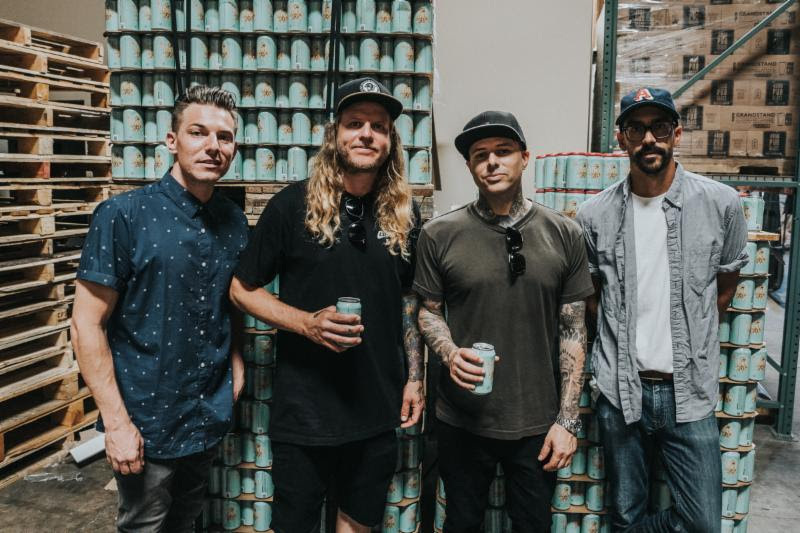 Dirty Heads members Matt Ochoa [drums] and Jon Olazabal [percussion] discovered Four Sons in their backyard of Huntington Beach and grew to love their beer. As the two became regulars they got to know the staff and discovered that the founders of Four Sons were fans of the band. The relationship grew and the idea to create a Dirty Heads beer was born. During the initial conversations they had a lot of ideas about what style of beer to do. Four Sons pulled some samples of one of their lighter beers (an American Lager), and infused it with 4 different fruits (passion fruit, mango, watermelon, and pineapple). Matt and Jon came down to the brewery and did a taste test to see which fruit they liked best in the beer. While some of the others were good, pineapple was hands down the winner. Dirty Heads were fully involved in each aspect of this new craft brew collaboration from beginning to end, including the design of the label. Bassist Dave Foral, already known for his graphic designs and tattooing, created the imagery that will be featured on ‘Vacation’ cans and bottles. The bright, colorful label includes classic Dirty Heads octopus art and palm trees to evoke the feeling of Summer. Inhaling alternative, hip-hop, reggae, and rock and exhaling one irresistible and infectious anthem after another, DIRTY HEADS—Jared “Dirty J” Watson [vocals], Dustin “Duddy B” Bushnell [vocals/guitar], Jon Olazabal [percussion], Matt Ochoa [drums], & David Foral [bass]—have been redefining the sound of Southern California since 2003. With over 700 Million audio streams to date, the group first made a splash with their full-length 2008 debut Any Point In A Storm. The record yielded the RIAA gold-certified smash “Lay Me Down,” and it held #1 on the Billboard Alternative Chart for 11 weeks: longer than any single that year by any other artist. 2014’s Sound of Change earned acclaim from the likes of Esquire and bowed at #8 on the Billboard Top 200 as its first single “My Sweet Summer” captured #3 on Alternative Radio. Meanwhile, the band’s 2016 self-titled Dirty Heads went Top 15 on the Top 200 and spawned the smash “That’s All I Need,” which racked up over 10.5 million Spotify streams and counting. Noisey described it as “Killer.” Beyond selling out countless shows around the world, the band headlined its own High & Mighty Festival in 2017. Dirty Heads recently released their latest single, “Visions,” which is already climbing the alternative radio charts and garnered over 2 million streams. The band partnered with the Cinebody app to create a music video for “Visions” entirely made up of fan-submitted clips. Earlier in 2018 Dirty Heads released “Celebrate,” and appeared on Jimmy Kimmel Live!“Celebrate” followed the California quintet’s hit summer single & Spotify viral track“Vacation,” which went Top-10 at Alternative Radio and was the # 1 Most Added at Alternative Radio for two straight weeks upon its release, top stations includingSirius XM Alt Nation, KROQ, ALT 92.3 New York, ALT 105.3 San Francisco, KKDO Sacramento and KPNTY St. Louis. Both “Celebrate” and “Vacation” are taken from SWIM TEAM which sees Dirty Heads pushing their sound, moving between pop, alternative, hip-hop, reggae, and rock with the same spirit and spark that’s powered them since the beginning. The album’s wide-ranging sound is also due in part to the diverse team of collaborators: Jonas Jeberg [Demi Lovato, Juicy J, Jason Derulo], “Lay Me Down” partner-in-crime Rome [Enrique Iglesias] of Sublime with Rome, Blueprint [Jay-Z, Kanye West, Timbaland, Eminem, Nas, Prodigy], Oren Yoel [Miley Cyrus, Kanye West], HEAVY [Andrew McMahon], and The Score. Four Sons Brewing is a family owned and operated brewery that was founded in 2014 in Huntington Beach, CA. The family consists of parents Duke & Daune, and their four sons, Deven, Derek, Drew, and Dustin. Four Sons Brewing strives to produce excellent craft beer with a wide range of variety that appeals to the novice beer drinker and astonishes the beer expert. With a strong focus on quality and authenticity, every beer contains only natural ingredients to ensure a clean, smooth and memorable taste. Stop by the taproom in Huntington Beach and you will most likely find Duke (aka dad) and Daune (aka mom) and the “four sons” – Deven, Derek, Drew, and Dustin – doing everything from checking equipment and sifting grain, to bottling, packaging, and filling glasses.